DirectBuy is a private club whose members have the ability to purchase nearly anything for their homes directly from more than 700 name-brand manufacturers while avoiding hidden retail markup. DirectBuy members save money on the things they need for their homes, leaving them with more money for the things they want. In times of prosperity or recession, DirectBuy helps families stretch their hard-earned dollars so they can enjoy a higher standard of living. A proven system that allows you to quickly realize the results and rewards of your business. Superior marketing programs driven by high quality, cost-effective lead generation. Derive profits directly from membership sales, rather than the sale of merchandise. Incredible savings on overhead costs without having to hold and manage retail inventory. With over 40 years of franchise experience and locations throughout North America, the DirectBuy franchise opportunity offers a time-tested and replicable system that enables franchise owners to realize results and reap rewards regardless of the economic climate. Franchise owners derive their income from membership sales, not from the sale of merchandise. Based on historical experience, when the economy slumps, consumers tend to be attracted to DirectBuy for the savings on items they need. In times of prosperity, consumers tend to be eager to purchase higher quality merchandise and add to their wish list. "DirectBuy is on the cusp of a real mainstream breakthrough. Everyone has heard of DirectBuy, but with difficult times for the American consumer, this company offers an opportunity to ease the financial burdens these families are facing. More and more families are turning to DirectBuy as a reprieve from the mark-ups that they can no longer afford or are just plain sick and tired of paying. This is the best time in our company's history to be a franchise owner." Site selection, facility design and interior decoration. Training in management, recruiting and staff development programs. Onsite training, consultation and sales and service support. Is DIRECTBUY FRANCHISE OWNERSHIP a good fit for you? Only you can make that decision. If you possess a desire to control your own future, to make your own decisions and be awarded appropriately, while helping families get more out of life, then you'd be smart to explore this opportunity. Our ideal candidates have the ability to lead a team of sales and service professionals, as well as a willingness to learn and apply the DirectBuy marketing system and a dedication to excellent customer service. 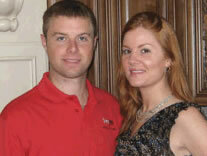 "To be a successful DirectBuy owner, I believe it is essential to have previous management experience. Managing people and achieving results through them is the key to success. You must also be willing to carry the vision and inspire your people to follow that vision." DirectBuy is currently only accepting inquiries from within the United States. We are not currently offering franchise opportunities in NC, IA, and NH. Interested parties should have at least $100,000 to invest. 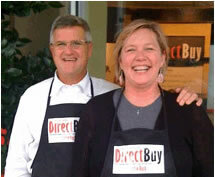 Click on Request Information for FREE info on how to open a DirectBuy franchise today! Please Note: This DirectBuy franchise opportunity and other franchise business opportunities, businesses and franchises for sale on this web site are not to be considered as an "offering", "franchise offering", suggestion or recommendation by Franchise Leader™. This advertisement depends entirely on the truthfulness of the information provided by our advertisers which includes, but is not limited to, franchisers, franchise brokers, franchise consultants and business brokers. Franchise Leader™ recommends that you consult a lawyer, financial consultant, accountant or professional advisor before buying a franchise or business opportunity or any type of business. By using this form or any part of our website, you have agreed to all terms and conditions of Franchise Leader™. Please review our Terms & Conditions for more information.